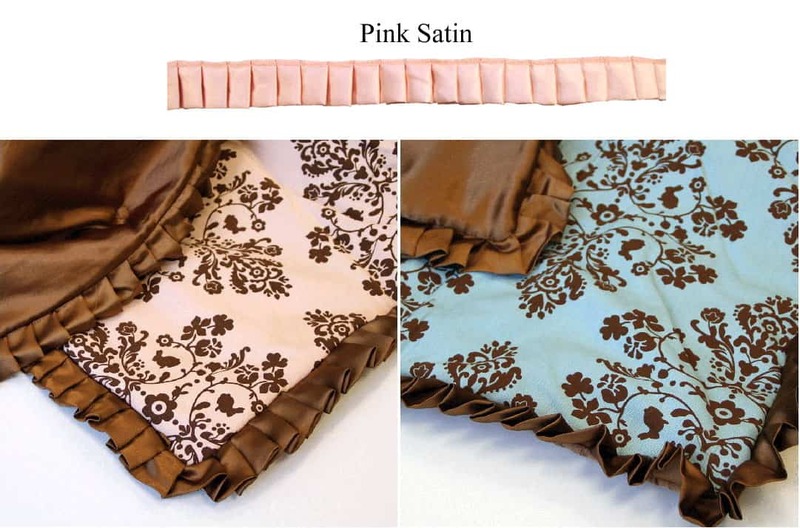 Lily & Will Satin Trim – Pink This pre-ruffled silky satin trim is going to be the glorious finishing touch of your project! It is soft, supple and silky, plus it will make your project look professional. 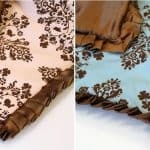 Easy to use as it is pre-ruffled and serged so it makes finishing blankets, quilts, or any project a snap. Photo shows an example of blanket made with the brown satin trim. 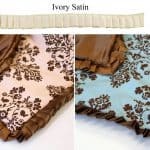 This beautiful satin trim is 1 1/4″ wide and is sold by the yard. These trims are from the Lily & Will Collection by Bunny Hill Designs for Moda fabrics. More in this collection in our store while supplies last. Use store search engine to find.